What Activities Should I Avoid After Hip Replacement Surgery? What Can I Do at Home After Hip Replacement Surgery? 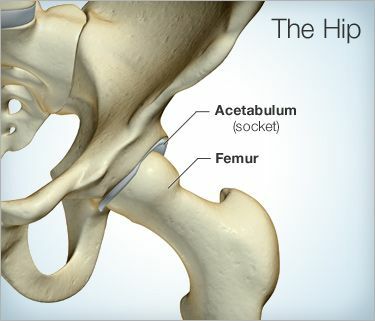 Is Hip Replacement Surgery Safe? How Long Will My New Joint Last After Hip Replacement Surgery? The doctor then prepares the surface of the hipbone -- removing any damaged cartilage -- and attaches the replacement socket part to the hipbone. The new ball part of the thighbone is then inserted into the socket part of the hip. A drain may be put in to help drain any fluid. The doctor then reattaches the muscles and closes the incision. While most hip replacement surgeries today are performed using the standard technique (one 8 to 10 inch cut along the side of the hip), in recent years, some doctors have been using a minimally-invasive technique. In the minimally-invasive approach, doctors make one to two cuts from 2 to 5 inches long. The same procedure is performed through these small cuts as with standard hip replacement surgery. The small cuts are thought to lessen blood loss, ease pain following surgery, shorten hospital stays, reduce scar appearance, and speed healing. However, it's important that the surgeon be highly skilled in this technique. Research has shown the outcomes with minimally-invasive approach may be worse than with standard hip replacement surgery if done by a doctor who is not very experienced with this technique. You will likely stay in the hospital for four to six days and may have to stay in bed with a wedge-shaped cushion between your legs to keep the new hip joint in place. A drainage tube will likely be placed in your bladder to help you go to the bathroom. Physical therapy usually begins the day after surgery and within days you can walk with a walker, crutches, or a cane. You will continue physical therapy for weeks to months following the surgery. For anywhere from six to 12 months after hip replacement surgery, pivoting or twisting on the involved leg should be avoided. You should also not cross the involved leg past the midline of the body nor turn the involved leg inward and you should not bend at the hip past 90 degrees. This includes both bending forward at the waist and squatting. Your physical therapist will provide you with techniques and adaptive equipment that will help you follow any of the above guidelines and precautions while performing daily activities. Remember, by not following your therapist's recommendations you could dislocate your newly replaced hip joint and may require another surgery. Even after your hip joint has healed, certain sports or heavy activity should be avoided. The replacement joint is designed for usual day-to-day activity. Keep stair climbing to a minimum. Make the necessary arrangements so that you will only have to go up and down the steps once or twice a day. Sit in a firm, straight-back chair. Recliners should not be used. To help avoid falls, remove all throw rugs and keep floors and rooms clutter free. Use an elevated toilet seat. This will help keep you from bending too far at the hips. Keep enthusiastic pets away until you have healed completely. Hip replacements surgery has been performed for years and surgical techniques are being improved all the time. As with any surgery, however, there are risks. Since you will not be able to move around much at first, blood clots are a particular concern. Your doctor will give you blood thinners to help prevent blood clots from occurring. Infection and bleeding are also possible, as are risks associated with using general anesthesia. Your legs may not be of equal length after the surgery. You must be careful not to cross your legs or not to sit too low because the joint may be dislocated. Nerves in the hip area may be injured from swelling or pressure and can cause some numbness. The replacement parts may become loose, break, or become infected. Talk to your surgeon about these risks before undergoing the procedure. When hip replacement surgeries were first performed in the early 1970s, it was thought that the average artificial joint would last approximately 10 years. We now know that about 85% of the hip joint implants will last 20 years. Improvements in surgical technique and artificial joint materials should make these implants last even longer. If the joint does become damaged, surgery to repair it can be successful but is more complicated than the original procedure.